Marc Faber, editor and publisher of The Gloom, Boom & Doom Report has long been an advocate of owning physical gold. Let’s see what he is forecasting for 2015 in terms of the economy and the gold price. 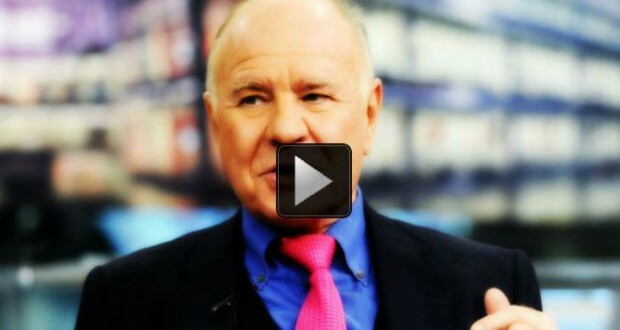 In the video below, Marc Faber shares his gold prediction for 2015 by discussing whether gold will dip below $1,000. 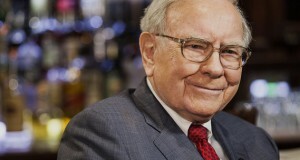 He also discusses whether owning physical bullion or gold mining shares is a better investment for 2015. ETF.com: Gold plunged immediately after the [Oct. 31] BoJ announcement [that it would expand its asset purchases], which came only days after the Federal Reserve announced the end of QE. Where do you see gold headed in 2015? 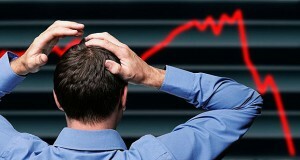 Marc Faber: I think it will go up. But can it go down first? Yes. 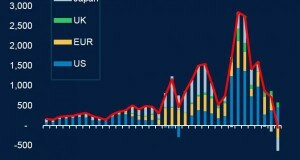 In general, I would say the game that central bankers are playing is very clear: They start out with QE1 in the US, and then that forced essentially other central banks to do the same, to also go QE. They’re kind of passing each other the ball. One stops, the other one starts. It’s basically a game designed to kill the purchasing power of paper money. I’m not sure they’re aware of it, but in my view, this is the beginning of the end of paper money in this century. ETF.com: So at this time, looking out into the next year, are you bullish on gold? Marc Faber: I’ve been recommending gold since the late 1990s when it was below $300 an ounce. I don’t regret that I have continuously accumulated gold. I look at gold like an insurance policy. It gives me some sense of security. Each individual can no longer trust central banks. They’re all basically printing money. So each individual should have some gold, to be his own central banker.